It's been a busy week so I've got a bit of catching up to do. 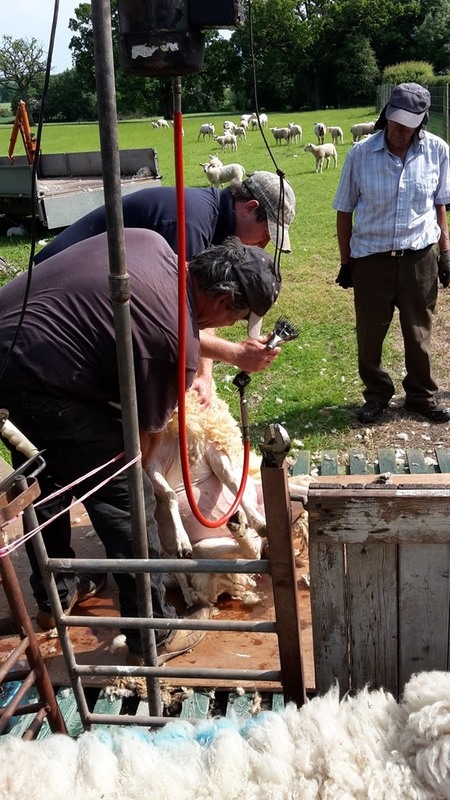 On Monday I spoke to my neighbour, Ken, about getting the sheep sheared, as it was getting warmer and like every Shepard I was getting worried about fly strike and my animals over heating. He phoned back within a few minutes, the guys we used last year were busy but his friend was getting back into after 18 years as he had a young lad to train. I came back from work (I was only working in the village luckily) and set to getting set up. It wasn't long until we had the sheep penned up and everything in the right place. 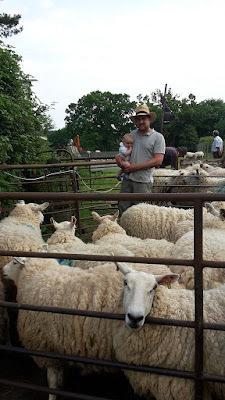 I had the easy job of keeping the smaller feeder pen full of sheep to make it easier for the shearer to pull the next sheep out for shearing. 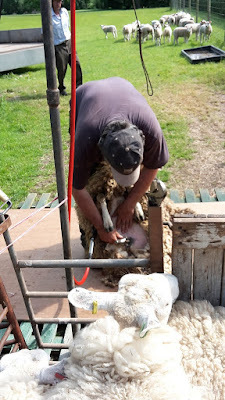 The lad he was training was keen to learn the skill and really cared about the animals, he felt really guilty if he cut one but as I kept saying to him it's inevitable as they move about so much. 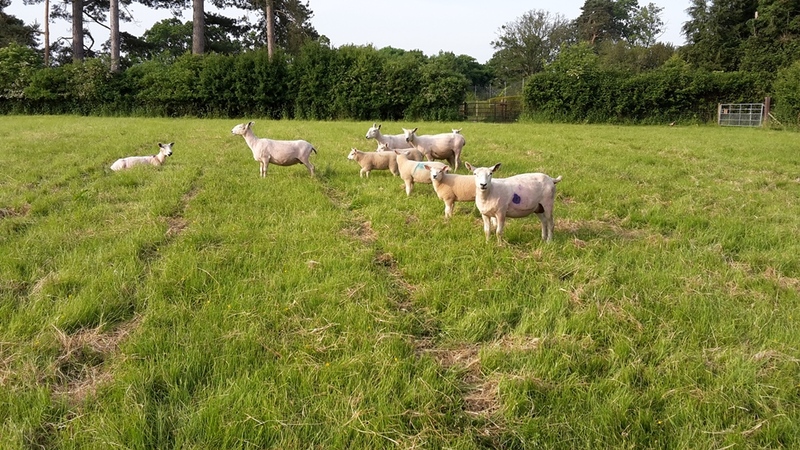 They have a tough skin and even the pros cut sheep from time to time, we make sure that we treat any cuts straight away so they heal fast. I'm just glad there are some new people learning to shear sheep as it's the last thing I want to learn or do! 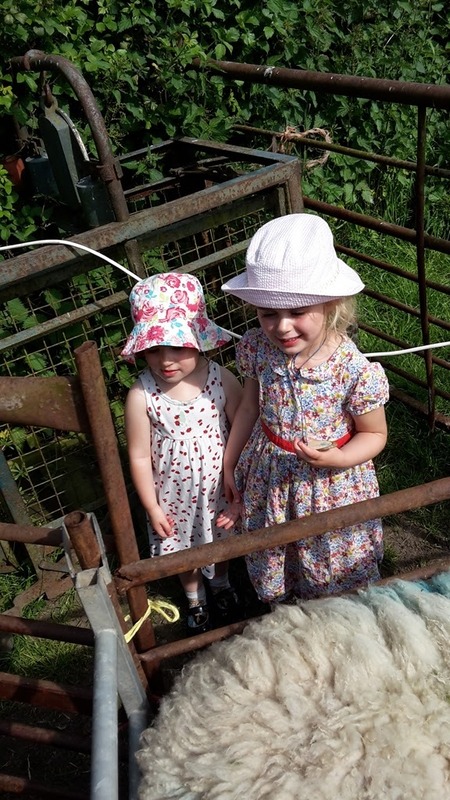 The kids thought that shearing was great full. 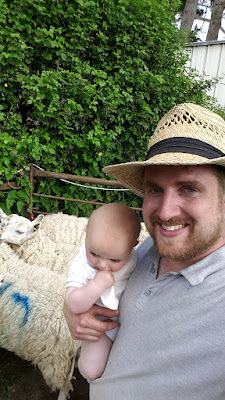 Alistair didn't really know what to make of it all, but I liked getting him in the pen with me - gotta start them young with stock! The girls liked it as well. There was a little pen right next to the sheep so they could safely get close to the action and see what was going on. 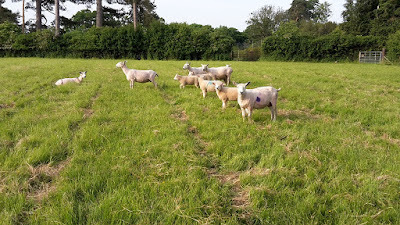 So at the end of the evening and a few beers shared round to cool down from a hot and close June day, I had a flock of bald and happy sheep. You could see that they were so much happier now they could keep a little cooler. Anyone else who keeps sheep had theirs sheared yet? Now who want to buy some wool? Is the price of wool still low, I've heard it's less than the cost of shearing. No sheep here so shearing is one thing that we don't have to put on our list! Love how you include your beautiful children in the homestead activities. You provide them with life's learning and education as a normal part of growing up. Nuthin' better than that! Love seeing your wee ones taking in the whole event. Wish I lived close enough to buy some of the wool. I wish I knew something I could do with your fleeces, but I'm afraid I don't. The fleeces looked very clean; I'm sure someone out there is dying to buy them. Alternatively, use them as insulation. You ever think about going to Australia, Kev? You could have a huge farm there with all you know about sheep and such. I applied to immigrate there in 1996, and they were very polite and said they'd love me to come visit but I couldn't come live there as they already had enough accountants. I bet they would let you in though! Yes, the sheep in our fields were shorn a couple of weeks ago, now the mums are almost the same size as their wooly lambs, and they were full of energy the week after being done. It was nice to see them looking so much happier.